Wisteria and the old brick of two chimneys from an old house. I drove by this glorious sight yesterday on a rural Georgia highway and whipped my Mini around very fast to take these photos. Wisteria is beautiful but will climb over everything in it's path and needs ruthless pruning. We had one near the porch of the old house but it is gone now because it was so invasive. Clovis, the C-Cat, was in his carrier in the Mini with me and he does not like to stop from point A to point B. He travels very well from house to house and I try not to stop but I had to this time. I am linking with Tracie at Fishtail Cottage for Cottage Flora Thursdays. The three drawer chest in white and glass. I usually go with color but I have enjoyed this softer look for the little chest. All items on the table are thrifted finds save the carafes which were drastically reduced at Pottery Barn. The two metal items are flower frogs. The weekend weather was dark and stormy and provided much needed downtime for the two of us. I only snapped one well lighted image and this is it! While there is one day of sun I must do some errands and garden a bit. I am joining Marty at A Stroll Thru Life for Table Top Tuesday. I am late darlings but do visit her lovely party. Growing with wild abandon at the old house. We planted these two roses four years ago and forgot to prune them last year. This image is whackado but I like the chippy window so it is in the post. It is best not to forget. Can we say out of control? They are planted beside the old 1950's beauty shop that is connected to the house. Don't you have a beauty shop in your house from the 1950's? The stories this house could tell us. Can you tell spring flowers are on my mind? The pink dogwood tree is not as prevalent as the white dogwood but oh wow! It stars in the landscape. The pink tone on the petals is so soft and pretty. This one we get to see from our deck, at the yellow house, as it belongs to our neighbors. The legend of the dogwood tree is that it once grew tall and was used to make the cross of Jesus but after that time, the tree never grew tall and big again. The bracts on the flowers resemble a cross and the cleft-like tears symbolize the nail marks of Crucifixion. The dogwood tree normally blooms for two to three weeks in early spring in the south east. Sometimes you can see native white dogwoods growing in the woods but apparently they are becoming somewhat scarce in our area due to disease. I am linking with Tracie at Fishtail Cottage for Cottage Flora Thursday's. I am very excited to be linking with this garden party for the first time. I am spreading my party wings. Thanks bunches Tracie for inviting me. We went to garage sales Saturday. Joe is a riot at them. He loves to haggle and is very good at it. I found something so beautiful and well made by hand that I do not think I could have haggled. It turns out I did not need to. A map of the United States with each state flower named and embroidered on it. Look at the North Carolina dogwood tree. We have a dogwood theme going on right now at Olive Out. In the next post I will share a pink dogwood in bloom now. I bought this from an older couple and the man said his mother did it and it took her a very long time to complete. I can imagine it did. I told him I would take very good care of it as I handed him the three dollars. Remember I said no haggling was required this time. It was not easy to photograph and is much more pretty in person. My walls are freakishly blue above when in fact they are yellow. But do you see how cool this piece of embroidery is? 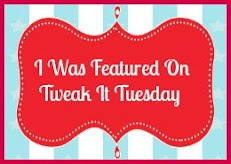 I am linking for the very first time with Coastal Charm for Nifty Thrifty Tuesdays. 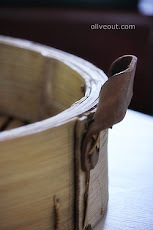 Do visit for more thrifty finds. 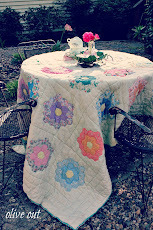 I am also linking with Debra of Common Ground for Vintage Inspiration Friday. Do visit for vintage inspiration. I am so excited to see our dogwood trees starting to bloom. They live in the shadow of tall pines and strive for the sun. I want some sun too. This is a picture of the front yard and I have noted two of the three thirty year old dogwood trees. That large swatch of green is monkey grass and we run over it with a lawn mower once in February every year. I had to zoom to the top to get this one. A magnolia in our back yard. It really did not bloom very well this year. Is this not an image of bliss? It is a hard knock life for him. CC and I took my godson to lunch today and he spent the day with us. Photos were taken with her camera so I might get them tomorrow. I am currently baking a lemon sour cream pound cake for the youth group of our church. Then I am baking brownies. Joe, CC and I wish you a splendid weekend. It is Spring break and she has plans. She is a darling for including her mother. Therefore I have not posted in days nor checked e-mails. Or commented on your posts. I do hope you understand, children before blogging. I do miss you and will be back, maybe tonight. The large dogwood trees are blooming and I will post images by the weekend. Crossing fingers here. It is time for Marty's Spring Cloche Party. The window of light is lacking just that these cloudy days. I put the blue and white collection in the window just for fun. The egg is a recent estate sale find. I should have put it in a cloche. I am joining Marty at A Stroll Thru Life for the Spring Cloche Party. Do visit her and the others for more objects under glass. Everything looks better under glass. The den at the yellow house is kind of bare. We are still fiddling with it. We paid twenty-five dollars for the sofa at a garage sale. It has the best roses but you might just have to climb out of it when standing. The coffee table was made by my father. The wood of the coffee table is two hundred years old and daddy made the table without nails. We have a twin to this table that he made that is more narrow at the old house. These teapots are CC's Granny's. I arranged them on the tray with a vintage carpenter's tool. Every man who sits in this room wants this little measuring tool and asks why it's on the tray. It's on the tray because it has beautiful patina and is dated 1873. I like my bokeh on the above image and have no idea how I did it. I have not taken photos of one item we bought at the estate sales Friday. But I will get right on it! I am joining Marty for Table Top Tuesday at A Stroll Thru Life. Thirty-nine of our fifty bulbs have emerged. We have a friend who planted three hundred bulbs last year. I find the spent camelia blooms so soft and tattered. We also have quince and susan magnolia blooming. Rain is forcast for the entire weekend so we have a break from this enormous landscaped yard. Tomorrow we are getting up at o' dark thirty and are going to four estate sales. Do you ever mix the old with the new? Two vintage pillowcases from an estate sale for twenty-five cents and a Tommy Hillfiger one not for twenty- five cents. I think you can see which is which. This one must have been washed over and over for thirty or more years as it is so soft and thin. Notice I do not iron. This is our vacation house my darlings. I bought half a dozen sets of pillowcases total that day. I sleep with three pillows. We are still in the dark, dark office and may be until 2014. That is how long it is taking to get wallpaper off the wall in the master bedroom of the yellow house. Seriously, we have been gardening and doing strenuous yard work and will get back to boring wallpaper eventually. 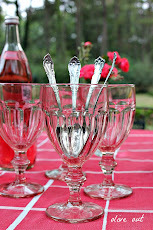 I am linking with the thrifty Linda at A La Carte for Junkin Finds Friday.